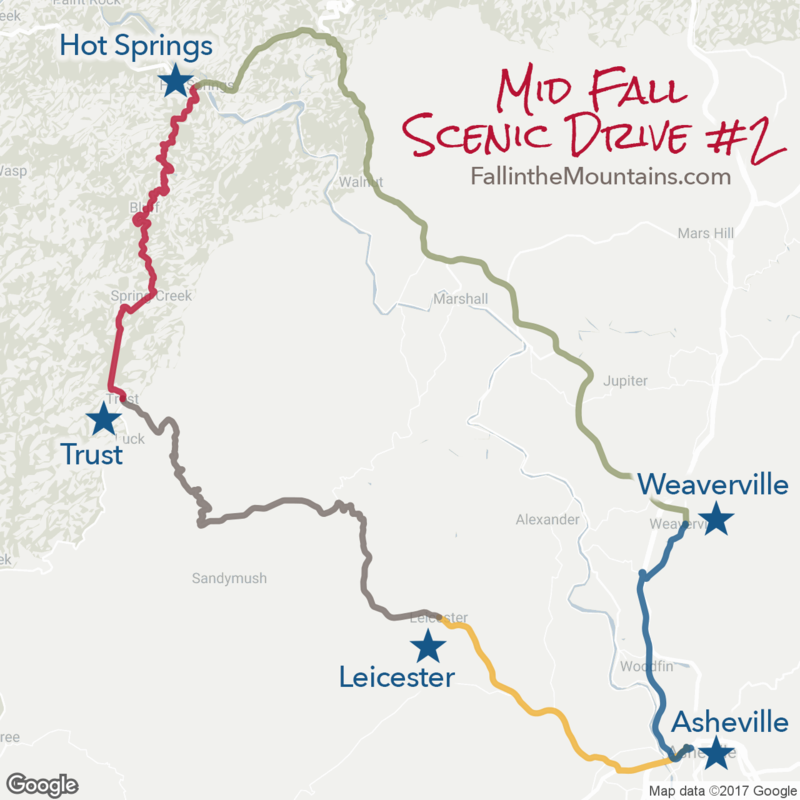 Fall Scenic Drives: Mid-Season Color | Asheville, N.C.
By mid-October, the fall color is generally moving down to mountain slopes and overall color is beginning to become its most brilliant. Visit our weekly leaf reports to stay up-to-date on the most colorful foliage. 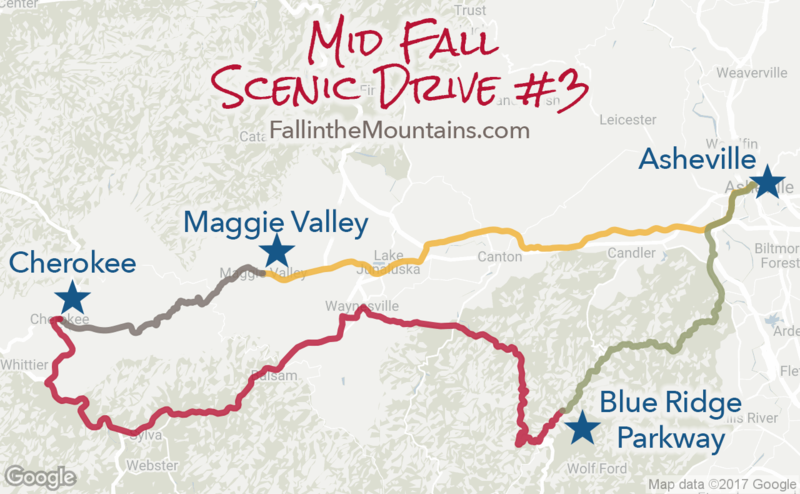 Here are just a few splendid scenic drives and day trips for soaking in the autumn beauty in mid-fall. From Asheville, head south on the Blue Ridge Parkway and exit onto US 276 at Milepost 411, following it south. 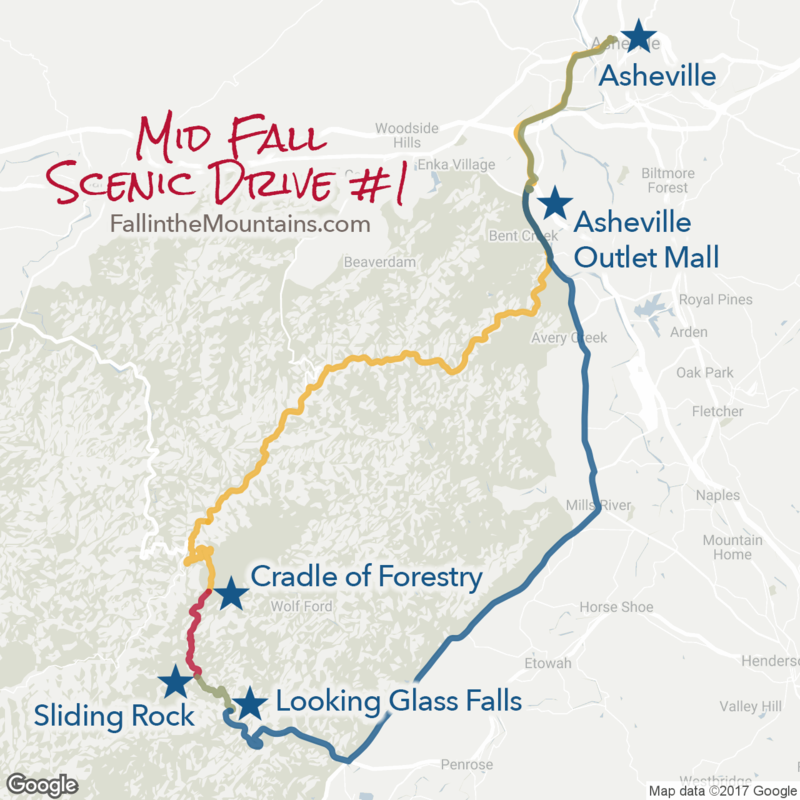 Along the way, stop by Sliding Rock, the Cradle of Forestry with its many interpretive exhibits and special programs, and Looking Glass Falls. The Looking Glass Rock trailhead, with parking on the left, provides access to a 3.1 mile trail set amidst brilliant fall color. 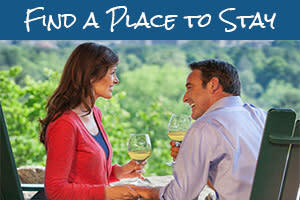 Continue on 276 to NC 280 north to NC 191 along the banks of the French Broad River past Asheville Outlets (formerly Biltmore Square Mall) and the Western North Carolina Farmers Market, then on into Asheville. 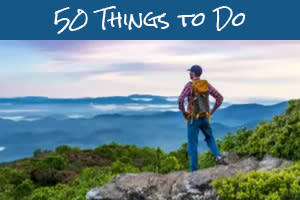 Take a trip to Hot Springs via NC 63 west through Leicester and to Trust, where NC 209 intersects with NC 63. 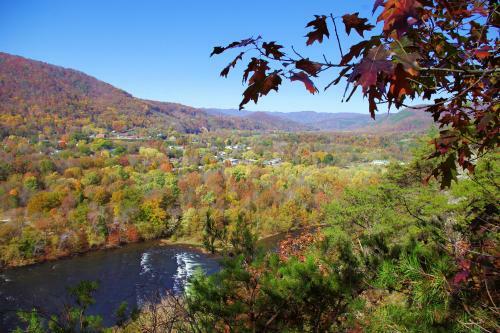 Take NC 209 north to Hot Springs, a quaint town that features an ancient natural spring and resort as well as a junction with the Appalachian Trail. 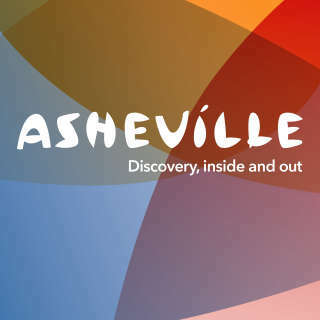 Return by following US 25/70 to Weaverville and connect with I-26 East, which leads back to Asheville. 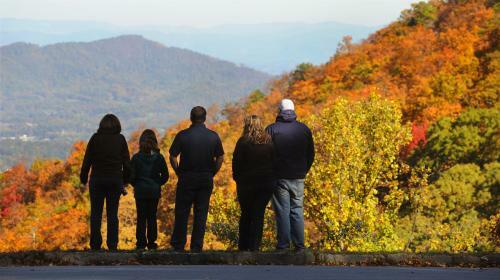 US 19 from Maggie Valley to Cherokee boasts several excellent leaf-viewing sites along lovely winding roads. To get there take US 19/23/74 west from Asheville. 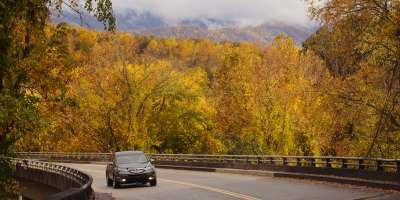 A return trip to Asheville via US 276 through the Pisgah National Forest to the Blue Ridge Parkway offers many overlooks from which to enjoy the autumn panorama.